for a campaign of a customer your magazine Power Transmission World is of high importance for us. Unfortunately we could not find any advertising rates or editorial deadlines for the years 2015 and 2016. It would be grateful if you could send a Media Pack of your magazine to us. 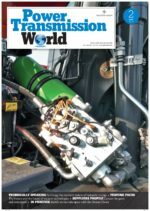 we are glad you appreciate the content of our magazine Power Transmission World. Our Sales Department will send you the Media Kit requested. We are manufacturers of hydraulic cylinders and are planning to launch a new product. We could like to advertise in your magazine. Kindly help us with the media kit and complete details of your publication to know better. Thank you and looking for your quick response. we are glad to know that Canara Hydraulics appreciates the content of our magazine Power Transmission World. – The Certificate of Quality (CQ) issued by the Maker is required when deliver goods. we thank you for appreciating the content of our magazine Power Transmission World. For any request about HPLP3 Hydraulic Gear Pump of Bondioli & Pavesi-Italy, you can directly contact Mr. Minucelli of Bondioli & Pavesi.